When the phrase hybrid is mentioned, the Toyota Prius immediately comes to mind. Unmatched efficiency and dependability have made it the most popular gasoline-electric car anywhere. Beginning in 2012, the beloved hatchback was improved even further when Toyota introduced a plug-in model, called the Prime. The 2018 Prius Prime is the latest addition to the Toyota hybrid legacy. Not only does it offer great fuel efficiency, but also an effortless driving experience. It’s the ideal way to save fuel driving around Fort Collins – or anywhere else for that matter. For the 2018 model year, the Prius Prime is available in three trim levels: Plus, Premium and Advanced. There’s no mistaking the Toyota Prius Prime. A carbon-fiber-reinforced rear hatch and ultra-aerodynamic body lines prove it’s not afraid to be a hybrid. Meanwhile, an active front grille, underbody covers, and side fins lend to its efficiency. The cabin of the Prime is very modern, as you’d expect. It woos drivers with a multi-information display and a head-up function. There are also standard heated front seats for cold Colorado mornings. Outback, the Prime offers class-leading cargo space. Lowering the rear seats provides a whopping 19.8 cu. ft. of room for anything you can imagine. Anyone who says hybrids are boring has never driven a Prius Prime. Two electric motors and a gasoline engine provide the car with plenty of vigor. Off-the-line torque is especially impressive. But power is just a bi-product of the Prius Prime’s real strength: efficiency. At this, it excels, delivering an EPA-estimated 133 MPGe*. Range is equally impressive EPA-estimated 640 miles. This capacity allows you to drive from Fort Collins to Denver nearly ten times. Several high-tech gadgets are included to help squeeze out ever last drop of fuel. There’s the intelligent drive coach, called Predictive Efficient Drive, that helps curb inefficient driving habits. Plus, the Prime offers auto drive modes (including EV, HV, and EV) to help you stay in control of your MPGs. Then there are the charging options. At home, the Prius Prime can be juiced up with its provided cable in about 5-and-a-half hours. No special equipment needed. For maximum efficiency, charging can be completed at a 240-volt public station in about two hours. The Prime’s multi-media display can help you find said stations. And a smart charging lock keeps thieves from stealing your electrons. Technology in the Prius Prime isn’t limited to just what’s under the hood. Additional highlights include an HD multimedia display, remote smartphone-enabled climate control, and Qi-compatible wireless charging. Parking downtown Fort Collins is made easier with available Intelligent Clearance Sonar with Intelligent Park Assist. 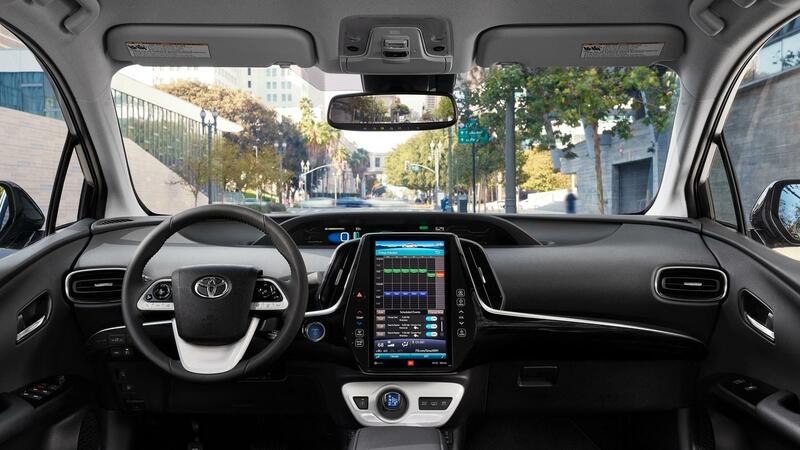 The Toyota Safety Sense (TSS) suite is the most advanced driver assistance system on the market. And now its available on the Toyota Prius Prime. Key features of the package include Pre-Collison with Pedestrian Detection, Range Dynamic Radar Cruise Control, Lane Departure Alert with Steering Assist, and Automatic High Beams. There’s also Rear Cross-Traffic Alert, a Blind Spot Monitor and backup camera. When locals are looking for a 2018 Toyota Prius Prime for sale in Fort Collins, they visit Pedersen Toyota. 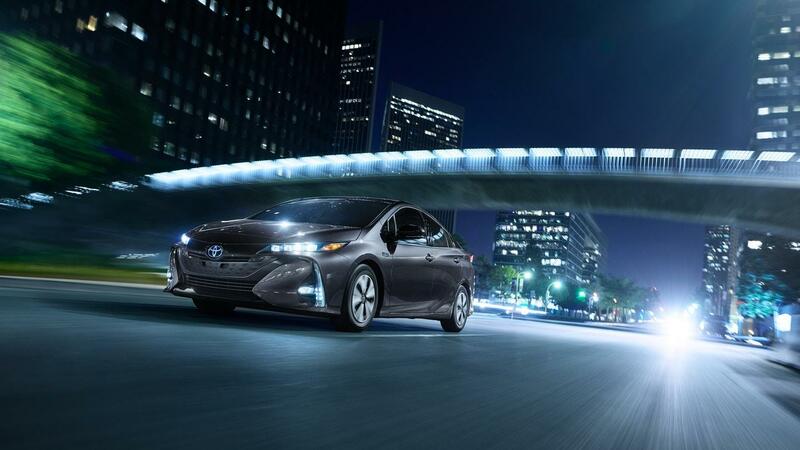 We have an unmatched selection of hybrid vehicles, including the brilliant Prius Prime. Stop by today for a test drive.